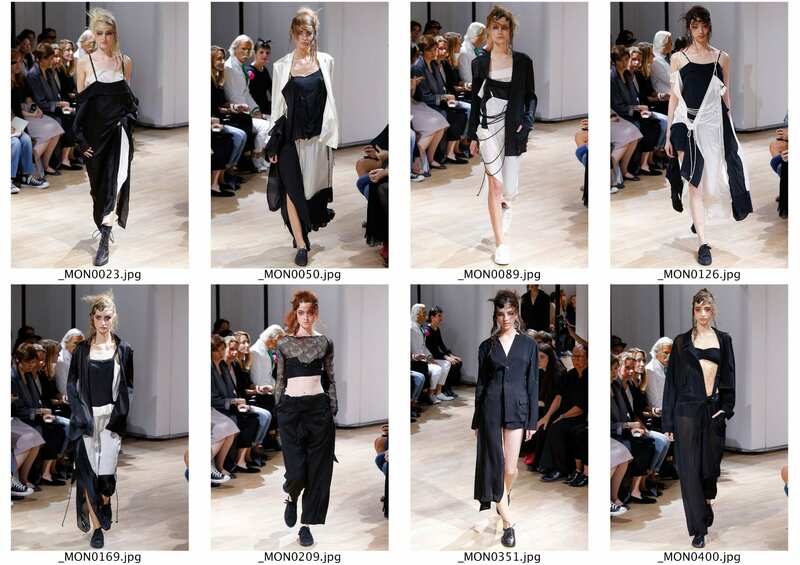 Yohji typically acts on the theme of beauty and sexualness for his runways, showing the feminitiy of the women through subtle glances of skin and delicate silhouettes. He states “showing the body is very delicate. When you show it too much, it becomes nothing” which is something i should consider when thinking to cut into my garments and actually strip back a women’s appearance through terms of clothing. I found it interesting how the outfits are styled on his runways specifically, as they do show glances of skin, but it is more how he does this with the use of re-functioning a garment’s purpose or positioning them very uniquely on the body. Deconstructivness is subtly shown through each runway from this idea but in a much more sophisticated sense, maybe even more luxurious than the previous examples. I should look into designers who use this technique too but in a much more high-end, glamour sense to determine which i think would worst best for my theme and magazine content. It would be more beneficial for my future work for it to seem possibly more high fashion but with the edge of this on-going unconventional theme.